Being able to efficiently pack and carry your Camping gear is one of the hardest tasks. Too much gear and you can’t carry it. Too little gear and you may find yourself in trouble. One of the oldest pieces of gear that I have is my backpack. 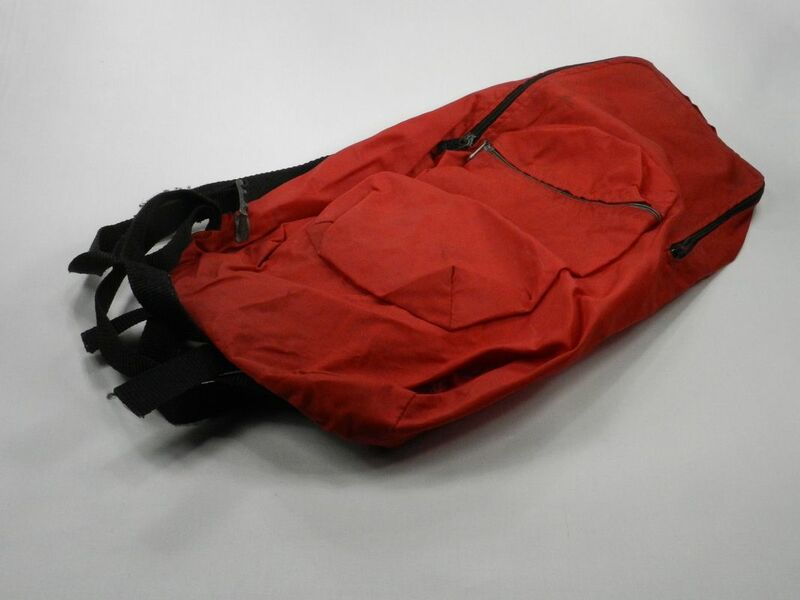 As you can see from the picture it’s an external frame pack with lots of pockets and places to store stuff – both in the pack and on the pack. 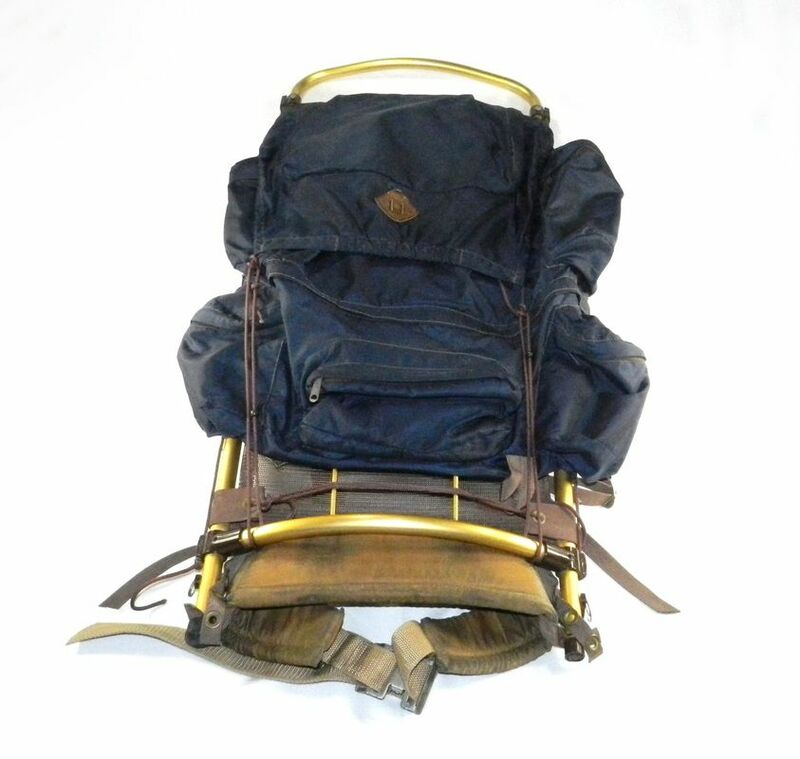 I know that the current standard for backpacks are internal frame packs – but they just don’t work for me. Maybe I’ve just spent too much time with my old pack to give it up. External frame packs allow you to carry lots of gear, but they can be bulky and have balance problems. Internal frame packs fit to your body more naturally and are easier to balance, but seem to make it harder to find the piece of gear that you are looking for. The criteria that we use to evaluate backpacks are: 1) storage capacity, 2) ease of finding gear, 3) durability of construction, 4) comfort on your back, 5) balance and 6) price. The Alpine Designs Expedition Pack carries lots of gear, has stood up to all sorts of travel and is comfortable to me. Although you can no longer buy an Alpine Designs backpack (since they went out of business), you can buy similar backpacks at Amazon. 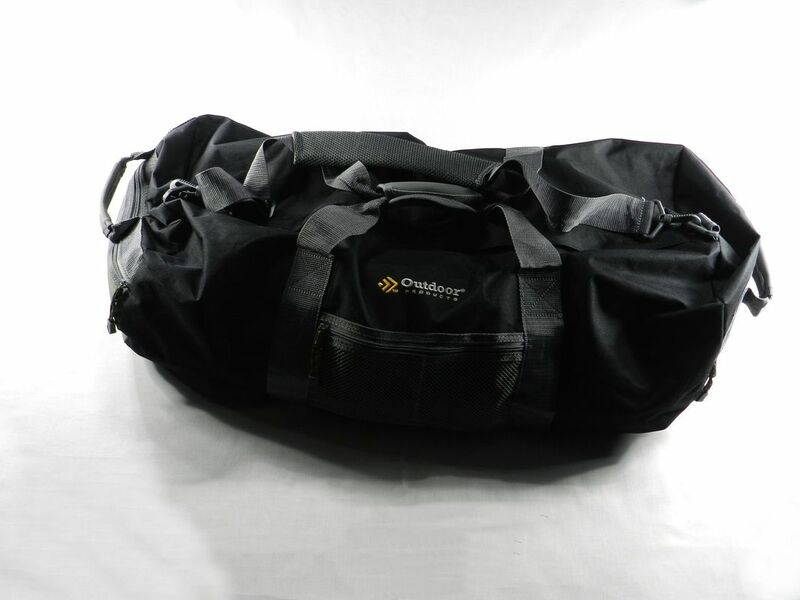 Outdoor Products Utility Duffle, Large - 15" x 15" x 30"
When we have all of our gear and tools at home we like to keep the all in one place. To do that we bought a large, strong Outdoor Products Utility Duffle bag. The criteria that we use to evaluate duffle bags are: 1) capacity, 2) strength of material, 3) ease of carrying and handling and 4) price. We like the large Outdoor Products Utility Duffle because it’s made of water-resistant 300 Denier polyester, has wraparound nylon webbing handles for added support with a neoprene grip, a padded shoulder strap, two exterior zippered mesh pockets and a front pocket. With 6,750 cubic inches (3.9 cubic feet) of storage it allows us to store all our tools in a single bag so that we don’t have to go hunting for them when we are planning an adventure. You can buy this bag at Amazon. Rather than throw all our gear into our backpack we try to keep items grouped with other items in the same category. 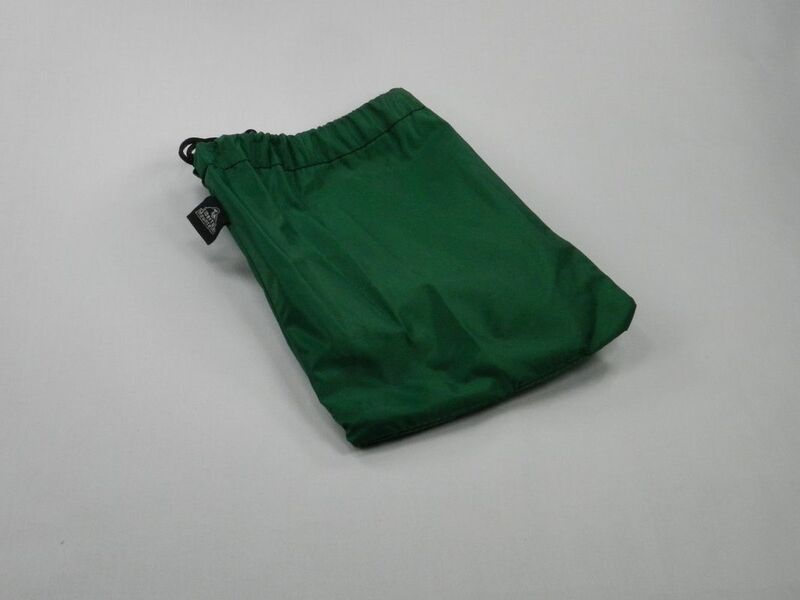 To do this we have several different sized (S/M/L/XL) and different material (waterproof, water resistant, mesh) bags. The criteria that we use to evaluate stuff sacks are: 1) capacity, 2) water resistance, 3) material strength and 4) price. 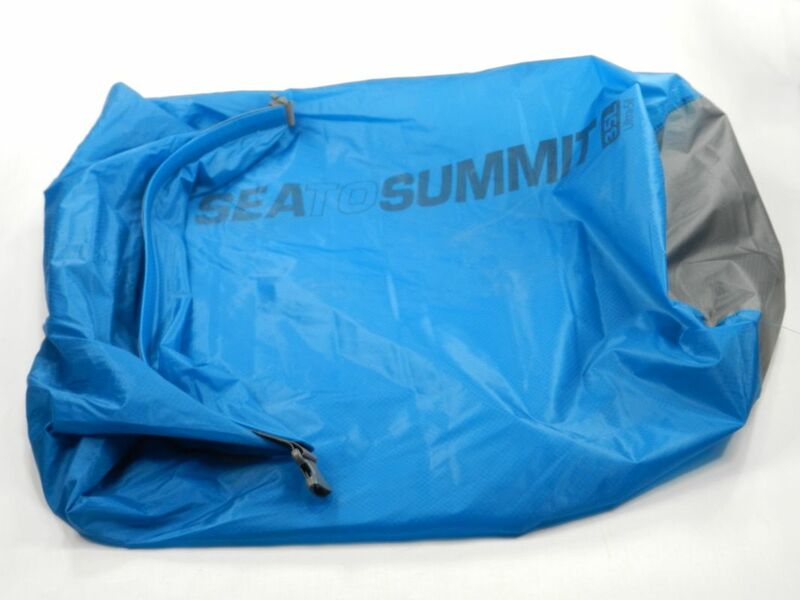 To store normal items we use the XL (30 liters) Sea to Summit Ultralight Stuff Sack. Although not waterproof, this bag is water resistant and durable. You can buy this stuff sack at Amazon. 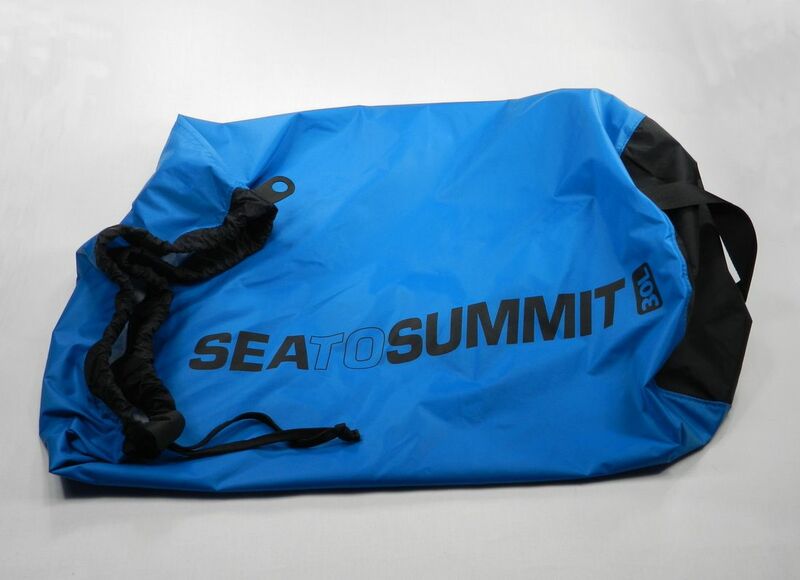 To store our lights and electronics we use Sea to Summit Ultra-Sil Dry Sacks (35 liters). 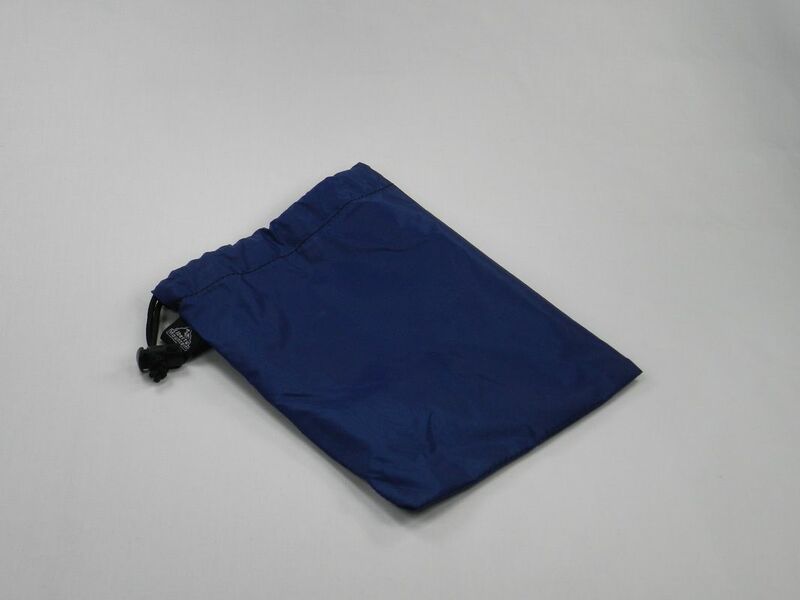 This sack is made of Ultra-Sil nylon, a polyurethane coated siliconized Cordura for waterproofing and durability. The sack has a roll-top with a Hypalon strip to make sure that the top seals tightly. You can buy this dry sack at Amazon. Liberty Mountain Ditty Bag - 7" x 9"
To organize small cooking items and tools we use 7" x 9" Liberty Mountain Ditty Bags. You can buy this stuff sack at Amazon. Liberty Mountain Ditty Bag - 8" x 10"
To organize medium-sized cooking items and tools we use 8" x 10" Liberty Mountain Ditty Bags. You can buy this stuff sack at Amazon. 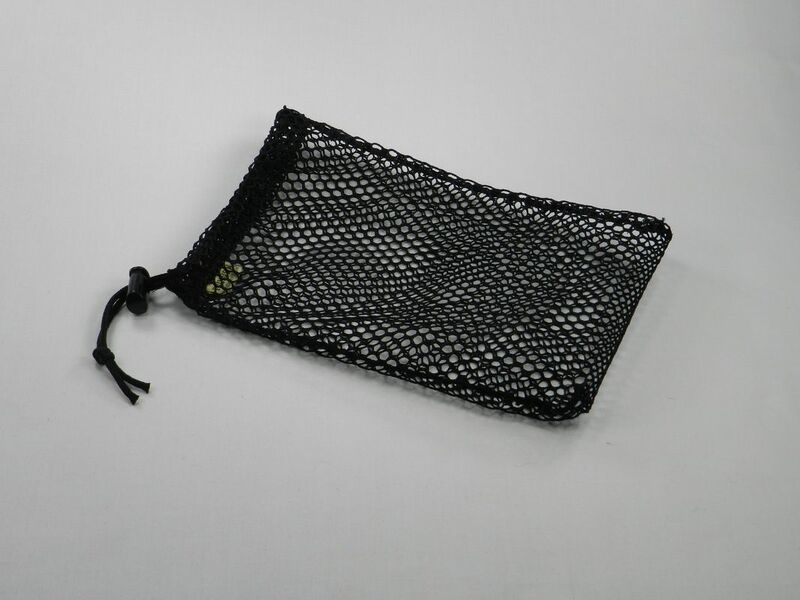 Equinox Nylon Mesh Stuff Sack - 7" x 10"
To organize medium-sized gear and tools that we want to “breath” or dry out we use 7" x 10" Equinox Nylon Mesh Stuff Sack. You can buy this mesh stuff sack at Amazon. 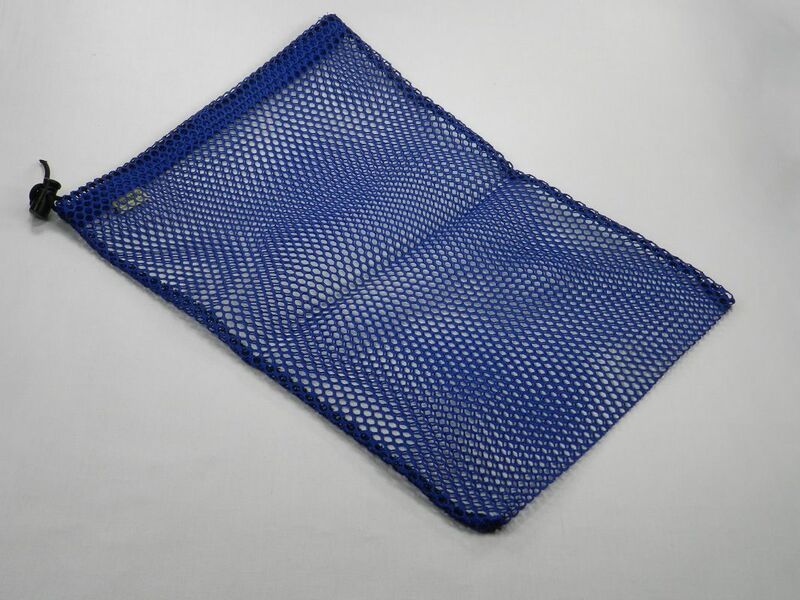 ﻿Equinox Nylon Mesh Stuff Sack - 11" x 16"
To organize larger gear and tools that we want to “breath” or dry out we use 11" x 16" Equinox Nylon Mesh Stuff Sack. You can buy this mesh stuff sack at Amazon. While camping we often take day hikes away from our campsite and find that we need a small day pack to carry Hiking items. Since the De France Waist Pack that we normally use for Hiking would take up too much room in our camping backpack, we use a Bellwether Bike Pack for the job. It works great since it holds a fair amount of gear, but rolls up to a small ball when we are not using it. Although you can no longer buy this backpack (Bellwether no longer makes bicycle packs – just clothes), you can buy small day packs like this at Amazon. The last organization item that we always seem to find uses for are bunjee cords. 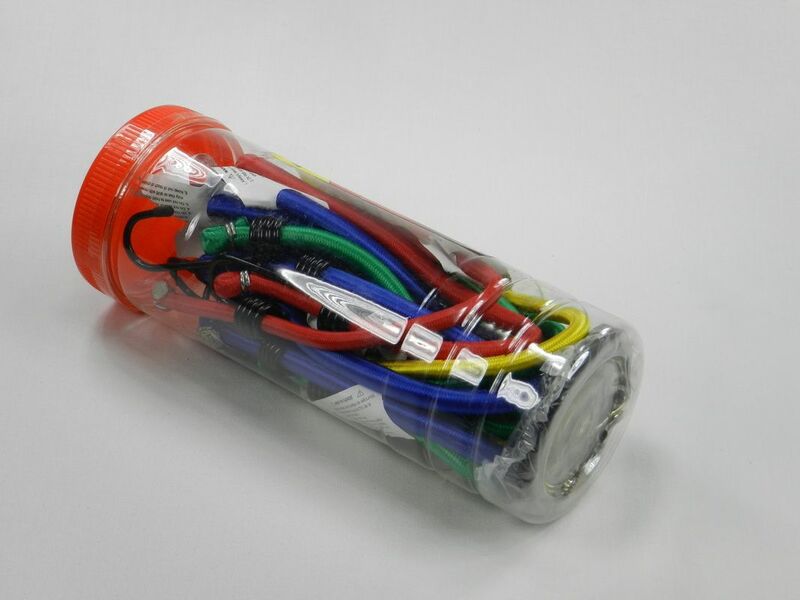 They come in very handy on your backpack, at camp and back at home when storing items. Since we use them for different things, we bought a Erickson Bungey Assortment that has 12 bunjee cords of various sizes. You can buy bunjee cords at Amazon.